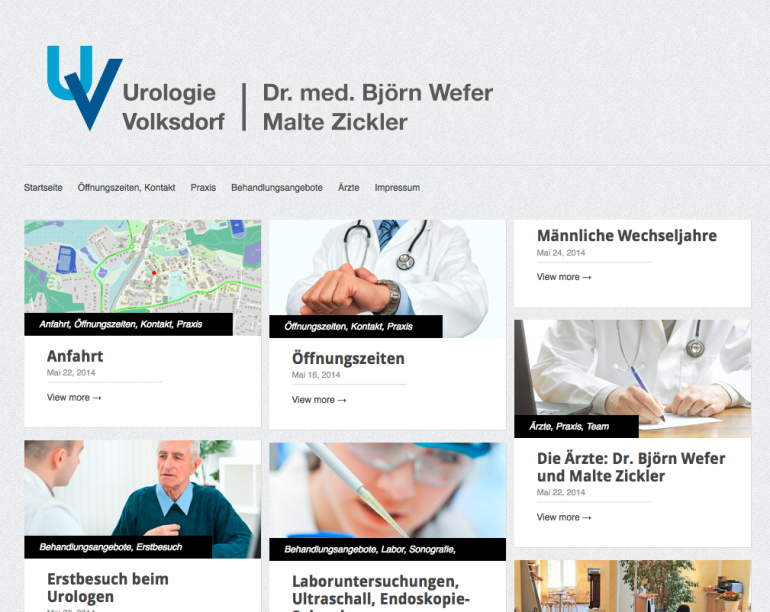 Simple and clean website and logo design for a doctors office (urology) in Hamburg. The simple and clean design on a classical bloc CMS helps to make the website easy and fast to be changed and updated, also for web amateurs. It was helpful to make / create a collection of related pictures, and to have them produced in a horizontal format. This job was easy, fast and – in the end– a very reasonably priced work for an upcoming urologist.